Ostrich feathers are anti-static, therefore they are great for collecting all that dust. 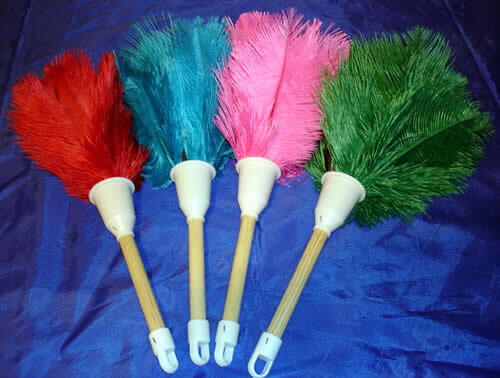 They have been in the form of a feather duster for over a hundred years. Today they are very popular for general household dusting but exceptionally great for dusting electronics - computers especially. 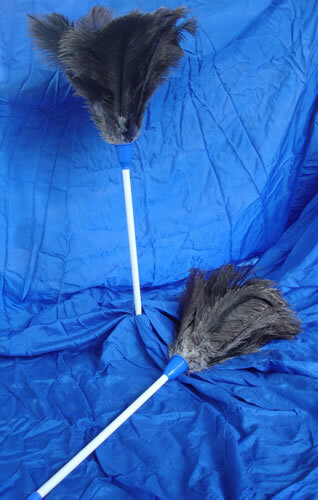 With our range of feather dusters - there is no excuse for dust! Also, they are a great gift for someone who has everything! Total length 28cm. Filled with bright funky coloured feathers. Wooden handle (16cm) with white plastic shaft and plastic hook on other end. Available in Red, Turquoise, Green or Pink. Total length 52cm. 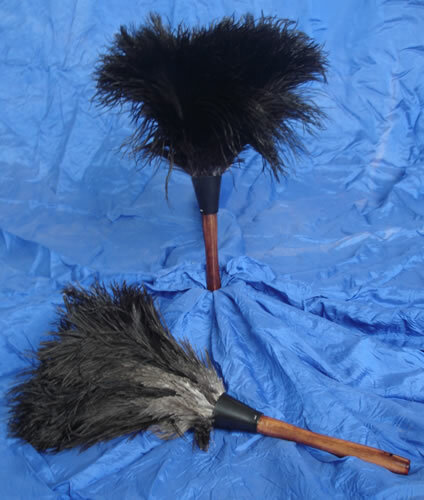 Very classy duster filled with beautiful black natural ostrich feathers. Plastic handle (23cm) with plastic shaft and plastic hook on other end. Great for dusting around the house. Total length 72cm. 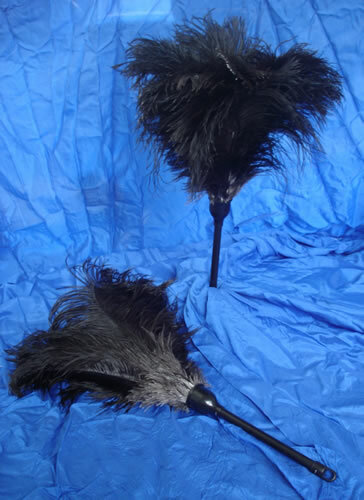 Very classy duster filled with beautiful black natural ostrich feathers. Plastic handle (42cm) with plastic shaft and plastic hook on other end. Great for reaching those difficult places. Total length 38cm. Full of lovely black ostrich feathers. Wooden handle (18cm). Great for dusting ornaments etc. Total length 38cm. 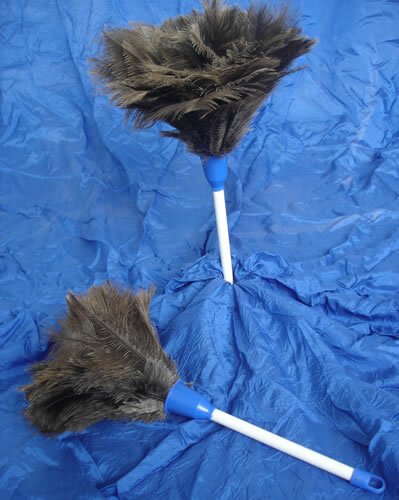 An economy duster filled with brown ostrich feathers. Plastic handle (22cm) with plastic shaft and plastic hook on other end. Total length 68cm. An economy duster filled with brown ostrich feathers. Plastic handle (40cm) with plastic shaft and plastic hook on other end.